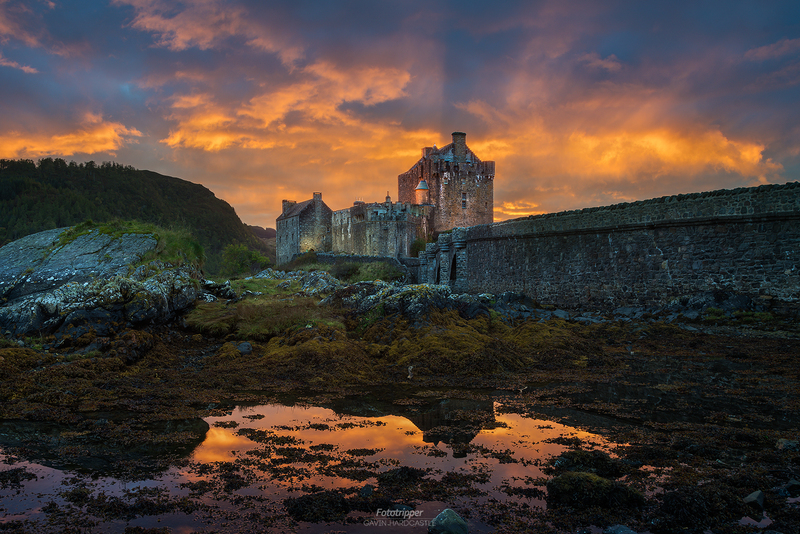 Join my 6 day/7 night Scotland Photography Workshop in May 2020 and I’ll share with you my favourite shooting locations. 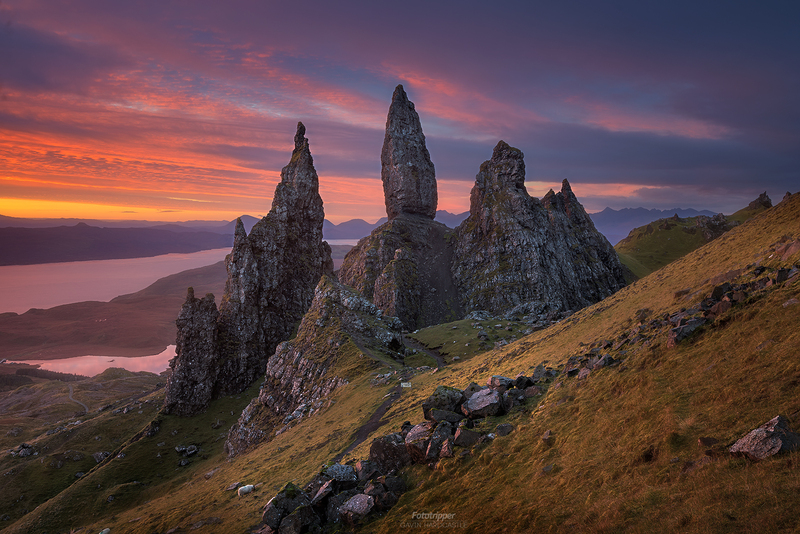 If you have a passion for ethereal landscapes, the Isle of Skye boasts some of the most mysterious and magical places you’re ever likely to see. 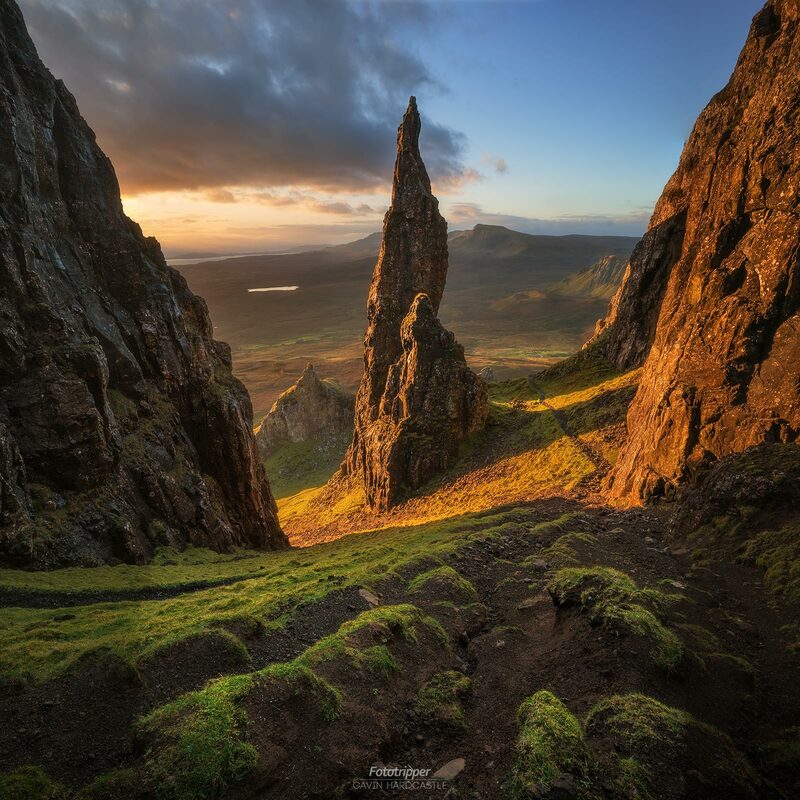 Rich in history and culture, the Isle of Skye in the Scottish Highland will capture your heart like no other place on earth. Not only does this workshop take us to Skye but the journey to the island is just as beautiful. 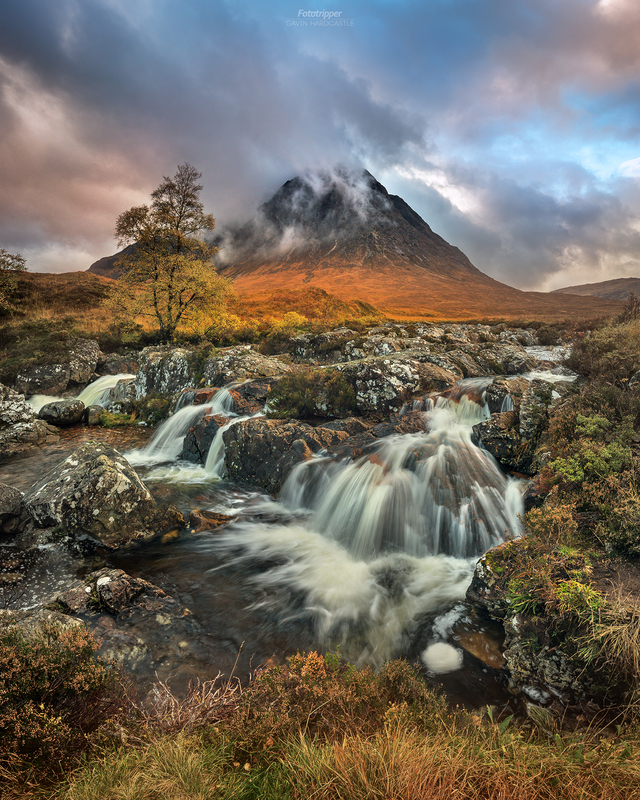 With shoots at ‘The Devils Pulpit’, Kilchurn Castle and the historic Glencoe, you’ll experience and photograph the legendary beauty of Scotland before we even get to Skye. Dates: May 17th – 23rd, 2019 – SOLD OUT! Dates: May 15th – 21st, 2020 – SOLD OUT! 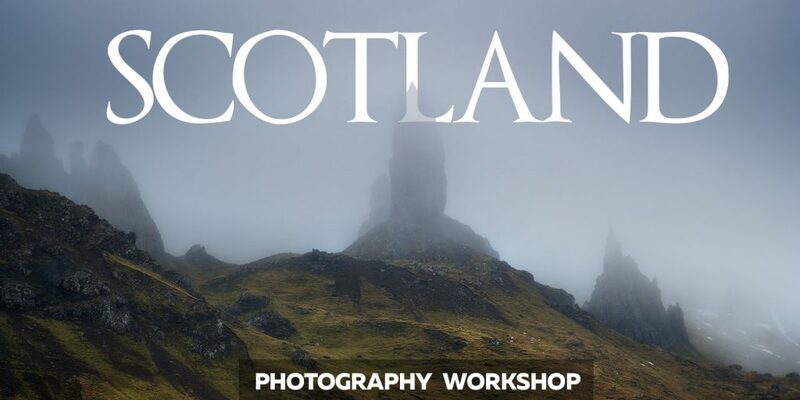 This multi day photography workshop in Scotland will be equal parts visual feast and cultural experience. Accommodation, breakfasts and transportation to all shoots is provided. I’ll show you how I photograph historic castles, landscapes, waterfalls and mind blowing Scottish coastline. I’m making this a pretty exclusive workshop with only 5 participants. I’ll be doing all the driving to and from our shoots and accommodation. I’ve found that 5 students is a comfortable number and makes for a fun group. Students get themselves to Glasgow for pickup. I advise staying one night in a hotel near the airport before the workshop. The Holiday Inn Express at Glasgow Airport should suffice for most peoples needs. For the May 8th to 14th Workshop I will collect all 5 students from their hotels on the morning of May 8th, 2020 which is when the workshop begins. For the May 15th to 23rd Workshop I will collect all 5 students from their hotels on the morning of May 15th, 2020 which is when the workshop begins. 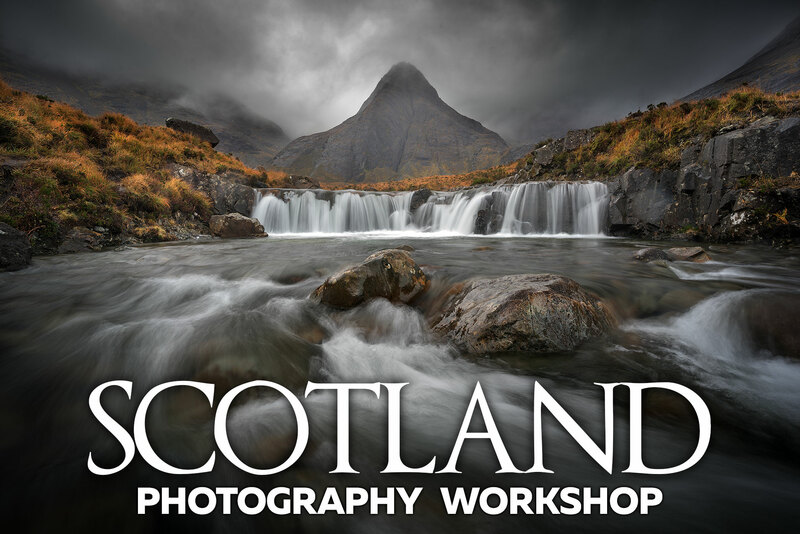 For students of my sold out 2019 Scotland photography workshop, the pickup date is May 17th 2019. 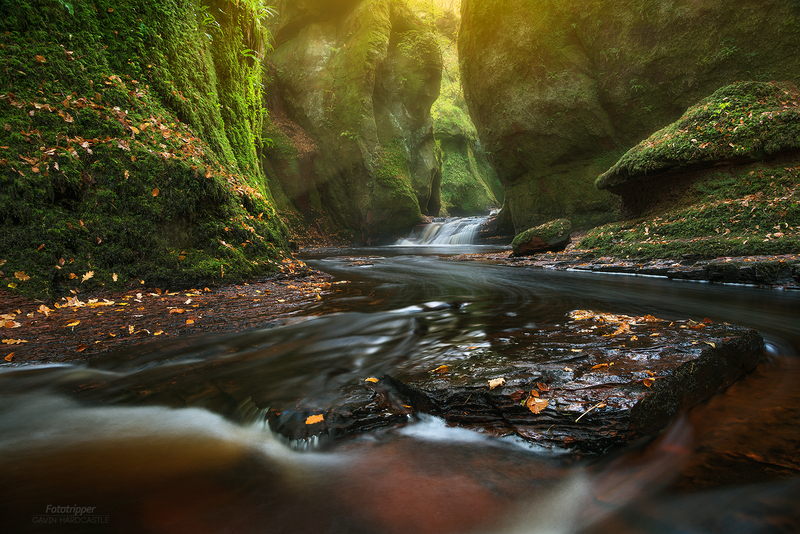 Shoot 1 – Finnich Glen – ‘The Devils Pulpit’. Prepare for your descent into the strange underworld of Finnich Glen where the river runs red and the walls glow green. Our first shoot at this historic castle ruin on the shores of Loch Awe will leave you spellbound. 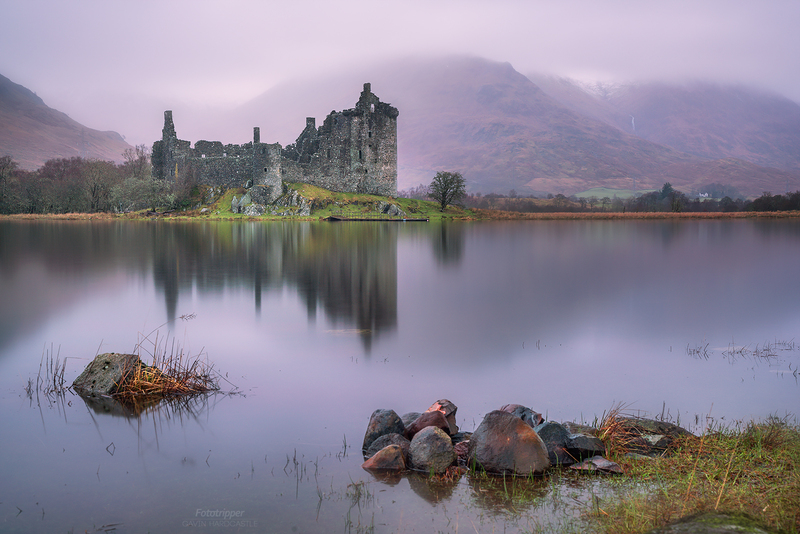 Our second shot at Kilchurn Castle gives us a chance of capturing some morning mist and if we’re lucky rainbows. Mornings also give us a better chance of witnessing calmer waters for reflections of the beautiful castle ruins. 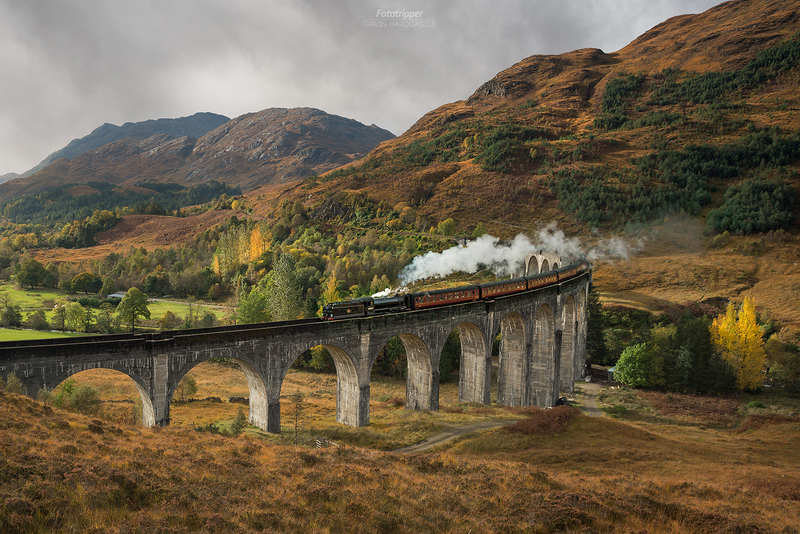 Even if you’re not a Harry Potter fan, the magnificent steam train over the Glenfinnan Viaduct is a sight to behold. I’ll take to to the perfect viewpoint to capture a shot of the train in all it’s glory. Glencoe is one of the most historically significant locations in Scotland. We’ll take in the sights of the Glen and visit the spectacular falls under the shadow of Buachaille Etive Mor. For the sunrise we travel to a secluded loch in Glen Etive where we’ll be waiting for gorgeous mountain reflections in the loch. The quintessential Scottish castle image awaits. We arrive at Eilean Donan Castle just in time for sunset where we hope to catch the spectacular light show of the setting sun and blue hour. A visit to Skye is incomplete without making the (optional) hike up to the Old Man of Storr. Not only is the view spectacular in its own right but as a backdrop to the Old Man of Storr, it’s like a scene out of a Tolkien novel. It doesn’t get any better than this. If you don’t feel up to the hike you can still get beautiful images of The Old Man of Storr from the base of the hill, just like this one below. 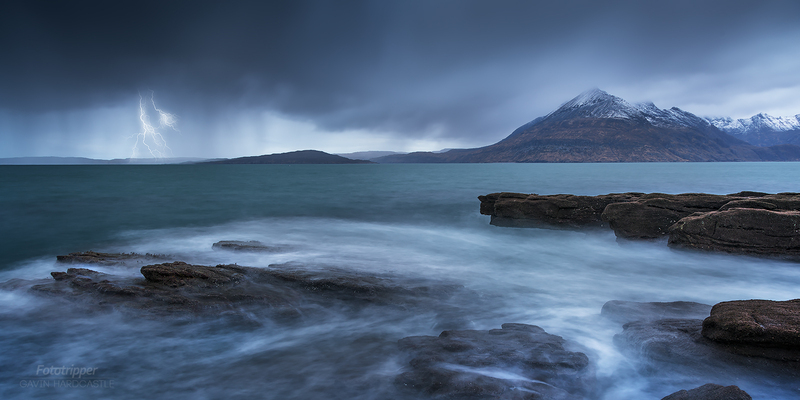 For sunset, we travel to the South West coast where we’ll capture the rugged beauty of the beach at Elgol. With the dramatic Cuillin mountains in the distance and otherworldly rock formations on the beach you’ll be spoiled for compositional choices. Being on ‘The Quiraing’ is like being on another planet. The jutting rock formations and sinking meadows make for a dreamlike landscape that I can’t compare to any other place on earth. When the morning light hits this landscape it begins to glow and reveal fascinating details to those who wait. If you like photographing waterfalls you’ll be in heaven. There are so many waterfalls at Glen Brittle that you won’t know what to do with yourself. 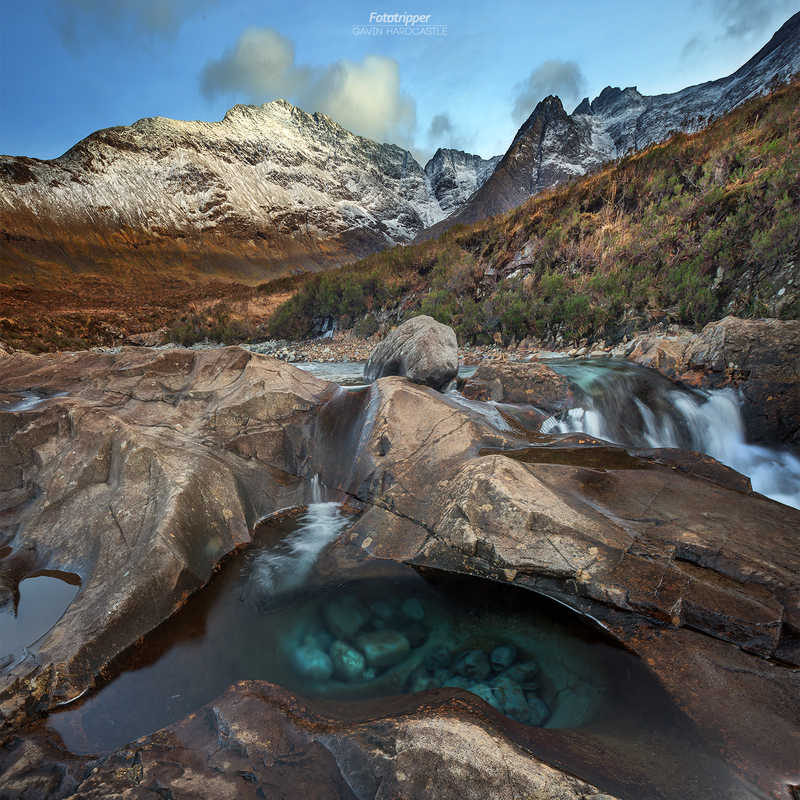 I’ll show you the best of the ‘Fairy Pools’. 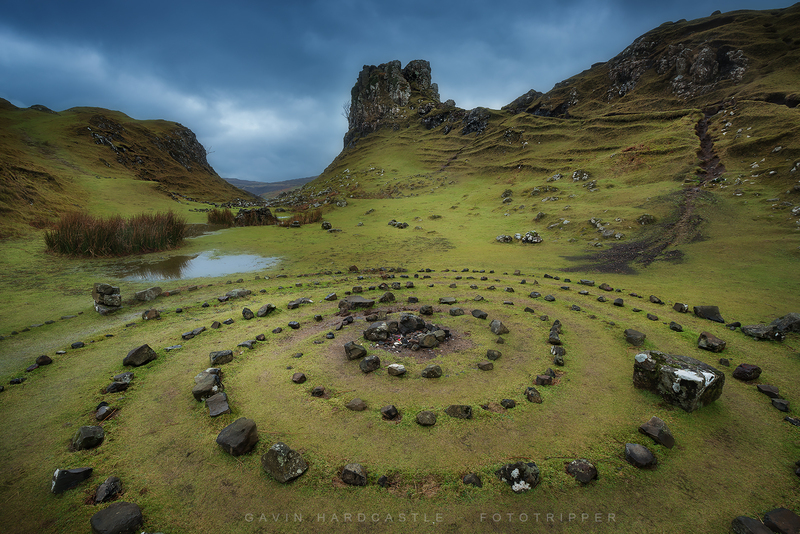 There are few places that offer the enchanted beauty of ‘The Fairy Glen’ with it’s stone circles, crenelated hillocks and bizarre rock structures. Take a moment to stop a listen and you might just hear the voices of the fairies. Neist Point offers some of the most dramatic cliff faces on the planet. With the lighthouse perched precariously on the edge of the cliffs and facing into the North Atlantic Ocean, it’s about as dramatic a scene as you can imagine. Today we leave the Isle of Skye but we get our final crack at Eilean Donan Castle under morning light which offers completely different compositions to the sunset shoot. After our last Glencoe shoot we drive back to Glasgow for a farewell dinner, fond goodbyes, drinks and laughs. Most of our shooting locations require very little hiking except for the hike to the ‘Old Man of Storr’ which takes about 1 hr up a steep hill. This is optional and you can still capture great shots at the start of the trail if you don’t feel up to the hike. Everything else is a short stroll from the car. Insurance – It is MANDATORY to insure yourself against physical injury. I also advise that you insure your photographic equipment. Tour leaders will not be responsible in the event of any personal injuries or damage to photographic gear as a result of an accident during the workshop. A digital camera. Don’t forget your memory cards and charger. 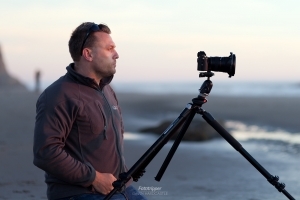 A sturdy tripod, ideally with a ball head. Recommended: Wide angle lens, mid-long range zoom. Many spare batteries for your camera. Waterproof jacket and extra footwear. We’ll be staying in 3 star accommodation that has everything we need. We’ll be spending hardly any time in our hotel rooms so it’s really just a place to safely store our belongings, take showers, sleep, recharge our batteries and eat a delicious Scottish breakfast. Please read our booking policy. 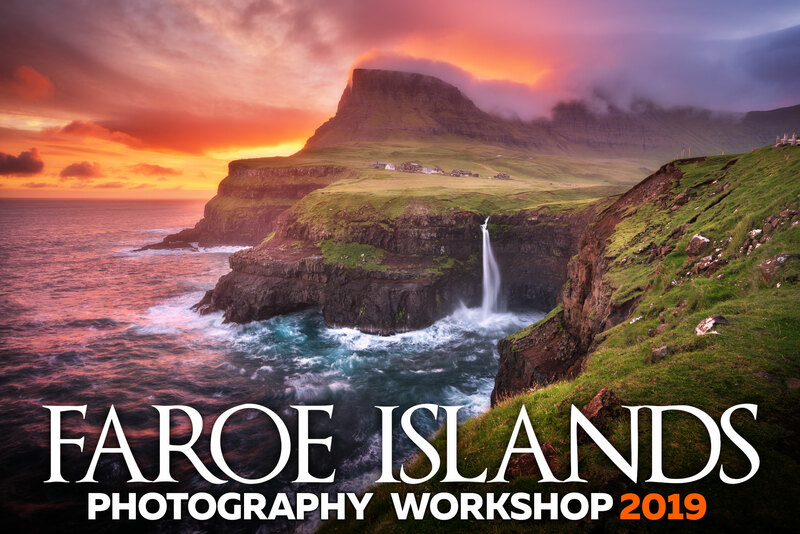 If you’re considering this workshop you might also want to make the most of your time there and also join my Faroe Islands Photography Workshop.